Categories: Adoption/Foster Care Counseling, Attachment Therapy, Foster Care Adoption, The Adoption Professional. 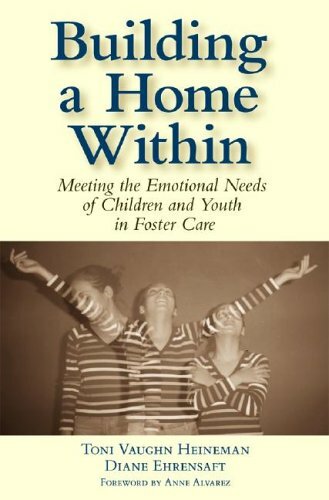 With a combined emphasis on biological, psychological, and social aspects that sets it apart from other books on the subject, this candid and compelling resource will help therapists fully address the emotional needs of children and adolescents in foster care. P.S. Perfect for professional development! Includes case studies for discussion and extended therapy-in-action scripts that show how children speak and how to respond. *Royalties from the sale of this book will support the programs of A Home Within, a non-profit organization building lasting relationships for foster youth—one hour at a time. Toni Heineman D.M.H., Editor, Diane Ehrensaft Ph.D., Editor, Susan Bernstein M.S., Contributor, Christopher Bonovitz Psy.D., Contributor, Peter Carnochan Ph.D., Contributor, Thetis Cromie “D.Mn. Ph.D.